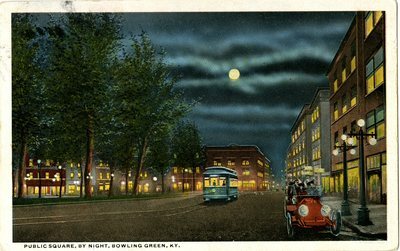 A Public square postcard by night, Bowling Green, KY. Published by B. H. Dalton, Bowling Green, KY. Made in U.S.A. with C.T. American Art. 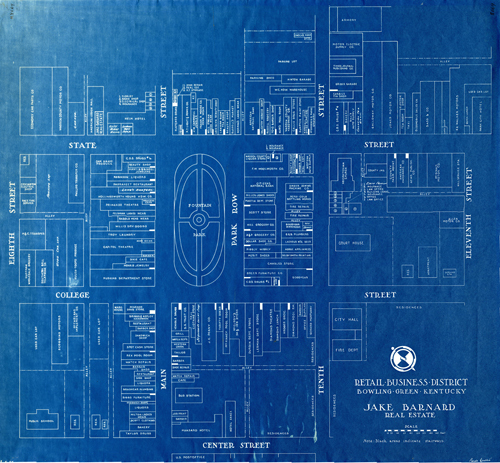 "Public Square" "Bowling Green" "Post Card" "Night"